Kushner Cos. Fined For Falsifying Construction Permits Jared Kushner was CEO when, New York City says, his real estate company filed false paperwork. A company owned by former Trump attorney Michael Cohen is also under scrutiny. On Monday, Jared Kushner's family business, Kushner Cos., was fined $210,000 by New York City for falsifying construction building permits. The violations occurred while the presidential adviser was CEO of the company. Kushner Cos. has been hit with $210,000 in fines by New York City regulators for filing false real estate paperwork over several years. President Trump's son-in-law — and current adviser — Jared Kushner was still at the helm of the real estate company as CEO when, the New York City Department of Buildings says, the company routinely falsified construction applications at 17 sites. The city's Building Department found the company frequently under-reported — and in some cases didn't report any — rent-regulated tenants living in its buildings, despite renting to hundreds of them. Developers are required to report the number of rent-controlled tenants they inherit when they buy properties and renovate them. The requirement is a safeguard to protect tenants from steep rental increases or from being driven out to make way for higher-paying tenants. On Monday, the city fined the Kushner family business for 42 violations at 12 addresses between January 2013 and September 2016. "Protecting tenants is a key part of our mission to make construction safe for all New Yorkers, and we are determined to hold landlords accountable for the accuracy of their applications – no matter who they are," the department said in a statement emailed to NPR. But Christine Taylor, a spokeswoman for Kushner Cos., contradicted what the city's Building Department told NPR. "No fines were assessed against the company today," Taylor said in an email to NPR. She acknowledged that "there were some violations issued for paperwork errors" but said "the company relied on third party consultants for the preparation of these forms and if in error they have been corrected or will be." Despite denying the fines, she says that Kushner Cos. plans to present "the facts before an administrative law judge and until then no amount is due, if any." Also under scrutiny is an investment group led by Trump's former attorney, Michael Cohen. The New York Times reported that Cohen's business allegedly submitted false construction permits for three Manhattan properties. In each instance, according to a report by the Housing Rights Initiative, the Cohen group reported buildings "were vacant or without rent-regulated tenants, when they were occupied and many of the tenants had rental protections." "At 172 Rivington Street, for example, the Cohen group indicated that there were no rent-regulated tenants in the 20-unit building, after the company purchased it in October 2011 for $2.1 million. But records indicated that there were 19 protected tenants there, but only 11 remained after the Cohen group sold the building three years later for $10 million." 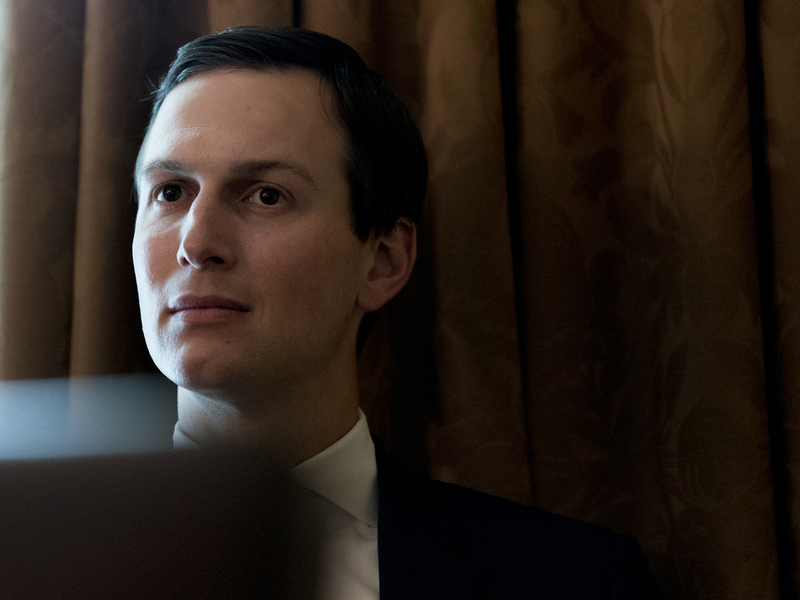 In July, a group of current and former rent-stabilized tenants in one of the Kushner Cos.' Williamsburg, Brooklyn, developments, filed a lawsuit claiming they were deliberately exposed to toxic smoke and other unsafe conditions. They argue it was to get them to move out so the apartments could be sold as high-price condos. Shortly after the lawsuit was filed, NPR reported New York Gov. Andrew Cuomo launched an investigation into the business practices of the Kushner Cos. That investigation is ongoing.